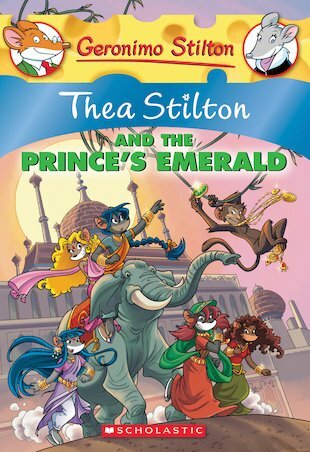 An exotic story full of action and intrigue, in which Thea travels to India to solve the mystery of some stolen jewels – including the Prince’s glittering emerald. It’s all paws on deck to explain the terrible theft and catch the criminal before the jewels are gone for good! This colourful adventure has monkeys, elephants and glamorous outfits aplenty, plus a baffling mystery that takes the Stiltons further than they’ve ever been before. Can the Thea Sisters solve the mystery in time? Holey cheese – the pressure is on!